I wanted to thank you for introducing my husband and I to the areas of Kolo and Sompolno, the birthplaces of my great grandfather Hersz Leib Leczycki and his son, my grandfather, Zygmunt (Sidney) Leczycki, respectively. It was a dream of my father, Howard Lent, to visit these places of his roots and I am so pleased I could do it for him. It was also very important for me to see the remains of the death camp at Chlemno where peraps some of my relatives began their horrific journey at the hands of the Nazis. We were quite impressed with your knowledge of the area, history and the empathy you showed about the difficulty so many people of Jewish descent experience when trying to trace their roots to this area of the world. You were able to give me so much more than I could have found on my own. To see a photo in the visitors’ book at the old synagogue (Sompolno Library) of another relative from Israel in this same place doing the same research made the world a much smaller place. I would highly recommend your services to others attempting to trace the steps of their families in this area and hope that in doing so they come come closer to a meaningful connection with those that came before us. How about our previous guests reviews. We want to thank you for an outstanding job. You truly went above and beyond what we expect to make our Poland visit a wonderful experience.Thank you again for all the support you provided. I enjoyed every moment of my travels with Magda. She was informative, interesting, well-read on my subject and a joy to be with. I have heard nothing but good about” Discovering Roots” (…) As for Lukasz, he is excellent and I recommend him highly. He is the best and the most resonable($) of all I have used. I have no bad points to mention, and he is a nice friendly guy too. He took us around to big and small towns, and did research for us through boxes of stuff in Poznan and found lots. 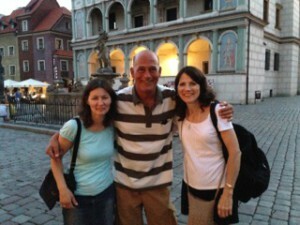 We all are very grateful to you Kasia for your great expertise in guiding us as we traveled through Poland. You were a great driver, mastering that 6 passenger vehicle with such expertise. It was a wonderful time and Michael is already thinking about visiting Poland again. Magda made our trip to Poland fascinating, informative, and memorable. I have had the pleasure of using the services of both Kasia and Magda on numerous occasions; Kasia in 2006 and 2008, and Magda in 2010 and 2011. While I found them both to be a little different, possessing their own special qualities, their hard work and dedication was not. I can not tell you how many times they stopped their cars to ask locals for information, or knocked on rectory doors and got the priest to unlock the church for me, so I could see where a grandparent was baptized, or married. When visiting ancestral villages, we would walk up to houses, and they would inquire whether a family still lived in the village, even seeking out the elders to find out if they remembered a grandparent’s sibling. 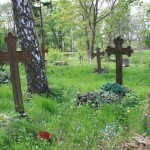 We probably spent a few hours together in cemeteries, walking up and down rows looking for names on tomb stones. I would be ready to quit long before they would. They both keep going like the Energizer Bunny, until they either achieve success, or have exhausted every possible option. I can honestly say that there were very few times that their perseverance did not pay off. If I were to write about everything they have done for me, I could fill a book. Thanks in part to their efforts; I am now in contact with more than 50 relatives, from at least 12 different branches of my family tree, whom I did not know the first time I traveled to Poland. I am eternally grateful to Discovering Roots, and cherish all the times I spent with Magda and Kasia. They are true treasures. The only bad thing I can think of is saying goodbye. It is always difficult, and I must admit a few tears have been shed over the years. They have become friends for life. I can’t recommend them both more highly, and do not hesitate to endorse their company any chance I can. If you need further support, feel free to contact me. On behalf of myself, my son Mark and my cousin David, we would like to thank you for the wonderful tour guide experience you provided us on our recent trip to Poznan, Poland. Our accommodations based on your recommendation were very nice, clean, safe and convenient to everything. You were generous in sharing your knowledge to give us a full immersion into Polish history and culture which was very helpful to our understanding and gave us an appreciation for what our ancestors’ circumstances were like. We covered a large area of the surrounding countryside and city and got to see more than we expected. This is not something we could have easily done on our own. 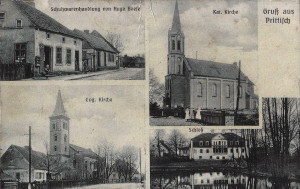 It would have been difficult for us to locate our family’s out of the way little villages and churches and we certainly would not have been able to obtain the information that you were able to without you translating for us – including the surprise connections made with descendants and with the locals on “our street”. Knowing you could assist with the language and give us a lot of guidance took away that stress, which was really important and made the trip more relaxing since it was our first time there. You also went out of your way to be sure there was something interesting to see and do for everyone in our group and went above and beyond to cover as much ground as we could each day and extended into the evening. Most importantly, we had fun and enjoyed spending our time with you. The two days flew by way too fast and we feel like we have made a lifelong friend who shares the same love of family, genealogy, history and Poland that we do. If our travels bring us back to Poland again and we expect they will, you will be the first person we call! I highly recommend that anyone considering a trip or needing research in the Poznan area should contact you through the Discovering Roots website. It definitely surpassed our expectations! My husband Ken and I visited the village where Froeschner’s had lived since the early 1700’s. ( …)They may have lived there earlier as well, but the church records are nearly impossible to read. Having Magda as our guide was invaluable. In the short time we had communicated before arrival, she did some history research to share with us. 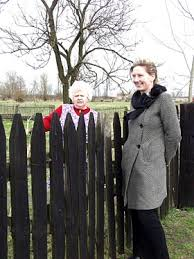 But the best was her warm, friendly manner of speaking to some residents of Przytoczna which led us to some interesting information. 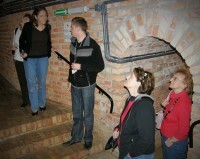 We were very fortunate to have Magda Smolka as our guide to Prittisch. You run a truly wonderful business with the highest degree of professionalism. 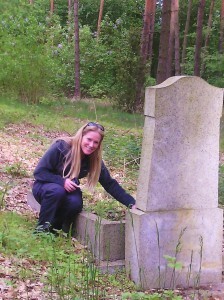 I was very impressed with all of the preparation Magda had done on the areas we visited. If only I had had as much energy as her!! I very much enjoyed my trip to Poland. (…) During August 2012, I visited Poland. I wanted to visit the village my grandfather was born in and if possible, find relativies who might still be living in Poland. (…) The trip was both pleasant and met all my expectations. Prior to my trip, Kasia did some research & we stopped at the Kalisz archives on the way to my grandfather’s birth place. Through this research, Kasia discovered the family name of the wife of my grandfather’s brother. In my grandfather’s village, we did not find any of his relatives but did find relatives of his brother’s wife. We had a long visit with the family. They were quite gracious and through them, we learned the address of my cousin. The trip was definately a success. I never would have seen as much of the village by myself and would have never have found my cousin on my own. We wanted to tell you that we had an absolutely wonderful time with Magda in May 2010 when she took us to meet our cousins in Sokolow, Mlp. She met us in Krakow right on time and was absolutely delightful to travel with. We had to spend a long time on the road to get to our relatives and she made the trip so much fun because not only does she have a real sense of adventure and fun but she also has a great personality and delightful sense of humor. She’s an excellent driver and when met with the challenge of having to find her way around the flooded areas, she was very impressive. Her knowledge of Polish history and lore is incredible and her willingness to share her country with us, including stops along the way to explore castle ruins and famous shrines, made the long road trip more interesting and fun. On top of that she gave me Polish lessons along the way! It was great. We feel like we gained a sister in the days we spent together with her and our relatives. She fit right in with everyone and her ability to rapidly translate back and forth between English and Polish was amazing. Our time with our relatives, whom we had never met before, was a rousing success because of her. She is remarkable. A true treasure. Thank you to Magda and to your company for providing us such an incredible experience. Magda did a great job of organizing the 6 days and of contacting members of the Tylisz family so we could get first hand information from them. She has a great personality and made us all feel comfortable even though we had the language barrier. I’m hoping that she will be able to help us in the future in our research efforts. Kasia – the professional genealogist! I became interested in researching my genealogy some 9 years ago when I was living near Chicago. I learned the system of LDS research center and began the process. Not knowing the Polish language at that time, it took some doing to make progress but I did. I was able to go back 3 generations to my great grandfather but couldn’t get beyond. 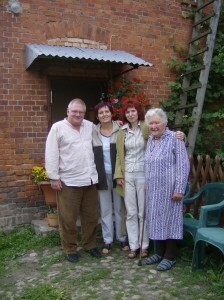 My passion grew to the point that when my wife and I retired, we moved to Poznań, Poland. 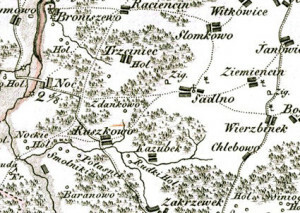 My ancestors are from the Poznan-Konin area. I watched a video about a local researcher, Kasia Grycza and how helpful she was. I also knew about her from another American who was living in Poznan and used her services. I contacted her, met her at the Poznań archives, told her what I was looking for and in 3 hours she found enough information to take my ancestry back another 3 generations. She was totally professional, had a knowledge of Polish, Russian and German languages and knew how to go in all directions to find the answers I wanted. I was completley satisfied with her services, the cost and now I continue to use her knowledge. She showed me how to do everything but with a limited command of the Polish language I would still need a translator for any document I found. I have already recommeded her services to other family members and do not hesitate to recommend her to you. My wife and I enjoyed meeting Magda, and I was very favorably impressed with her enthusiastic approach to the research work. Her assistance was invaluable, and the discoveries made easily exceeded my expectations. In early 2005, I commissioned photographing certain villages along a stretch of the Noteć (Netze) River from Szamocin (Samotschin) to Osiek nad Notecia (Netzthal), Poland where it is known that Teske family members lived in the late 17th and 18th centuries(…)Photographers were two young ladies Kasia Grycza and Magda Smolka who along with their colleagues provide photography, genealogy and guide services in Poland. They are headquartered in Posen. 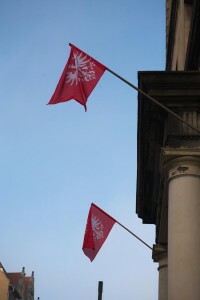 My Polish wife and myself (I am American) recently had an opportunity to live in Poland for a year and after settling down in Poznan, the hometown of my Polish wife, one of my goals was to work on my wife’s genealogy since I had already done my own. After checking on the Internet I came across Kasia’s website and after making contact with her, I was able to meet her personally and go over my needs. Not only is she very professional, but she is a very genuine and pleasant person to interact with. 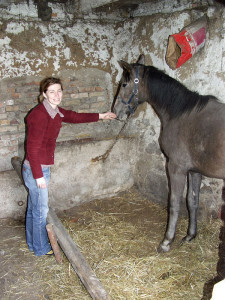 I explained to her that I had a lot of experience researching in the States but I needed help to get started in Poland. She was extremely helpful. Since I had time on my hands, she was able to meet me at the archives in Poznan, introduce me to the staff there and then taught me how to look up the various records as well as how the whole process worked. Once I learned that there was no stopping and within about a month I had taken my wife’s lineage back some 6 generations in some case. It was all due to the professional assistance of Kasia Grycza. To her both my wife and I owe you a lot. 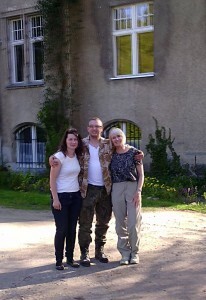 Lukasz and Magda, thanks so much for a most wonderful trip. You made us feel so welcome and at home in your country. You became good friends in a short amount of time. It will be a trip I will never forget. You both were super guides and showed us more of Poland than we ever dreamed we would see. It was so much fun! It was so meaningful to finally see the places Dad and I have been researching and reading about for so long. Thanks so much for all you did to help us find as much as we could while we were there. For not being afraid to talk to total strangers or to plow into those totally overgrown cemeteries. It was a trip of a lifetime, thanks to Discovering Roots. I will recommend you to anyone wanting a personalized genealogy tour to your area! She is a pleasant traveling companion. The costs were very modest for either genealogical research or travel to the villages. The personal genealogical travel guidance she offers was cheaper for me than packages tours – and of course very personalized (you go only where you want to go). 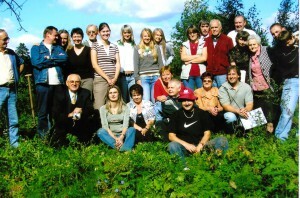 In 2001, we contracted Dr. Lukasz Bielecki for a one-day genealogical finding journey. We had trouble with our train arrangements and had to take an alternate train. We had no idea how to contact Lukasz to let him know of the problem. He anticipated the difficulty and located us at the train station in Poznan. That was a great relief to us. We had a wonderful day of discovery, took some photographs and found some basic information about the area of my ancestors. Later that evening, after our excursion was completed, Lucasz went to the State Archives in Poznan and found very pertinent documents on my family. He tried to locate us at the hotel but we were sightseeing and missed him. He offered to take us to the Archives the following morning but our plans didn’t allow time to do this. He followed up with an e-mail detailing his findings. His efforts were well beyond our expectations and we cannot speak highly enough about Lukasz and the valuable service that “Discovering Roots” provides. Just returned home to Australia last week from Europe, had a great time looking through Germany and Croatia after my visit to Poland. I had a great day looking around the Trzciel area with Magda. It was very interesting and a big highlight of my trip. Now I am just waiting for my Photos to be developed so hopefully they work out alright. Anyway a big thank you for showing me around, hopefully will get back to Poland one day. For more than two years I have been trying to research Germany and Poland for the birth records of my grandfather and his siblings. I was fortunate to read an email that recommended Kasia to do research in Posen where my granduncle Frank was born. I wrote to Kasia and her response to me was to email her as much information as I had. Within two days Kasia had located the birth record of my granduncle Frank and also the birth record of a granduncle whom I did not even know existed!! He had passed away long before my grandfather. Kasia obtained the birth records, translated them for me, and I had received them within a week!! Her fees for research are more than reasonable. (…) I believe with her help, one day I will know my great grandparent’s birth dates and birth places. I want to take this time to tell you we arrived home safely and are now starting to get all in order for our reunion. 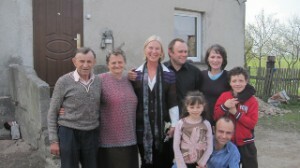 Magda you are a very special person for the time you took with the tracing our relatives. I dont think anyone could have been as thoughtful and sincere about the task you had to put up with my Family& I. Again I want to thank you for a wonderful time we had. Now I hope you come up with something on John Smith so we can revisit you country. (…)Kasia your group must be very special and work together well. If all of you are the same in details any person who comes to Poland for a trace of there relatives they will have a successful trip as ours. Again Thanks Kasia & a very special thanks to you Magda from Kerrie, Nancy & myself. Thanks a million. We left the hotel at 8:20 am and drove to Wangerin where we met Kasia at the church. (…) She had driven up that morning from Poznan, about 216 km. Kasia had made arrangements for us to stay at the Gospodarstwo Agroturustyczne, a guesthouse on a farm run by Beata and Andrzej Sak that was about 8 km east of Wangerin, just a bit northeast of Rosenfelde (Brzezniak) — off the beaten track and the last 0.9 km of road was mostly a dirt road with some cobblestones. I wrote E-mail to the contact person, Katarzyna GRYCZA (“Kasia”), and expressed my great interest in exploring my roots on Aug. 3, 2001. She promptly replied that she could do it, and informed me about their very reasonable fees. It was a very moving experience, made possible by Kasia GRYCZA’s competent and friendly guidance. I WHOLEHEARTEDLY RECOMMEND THE SERVICES OF KASIA GRYCZA and her “Discovering Roots Society Poznan”.